Tonal, repetitive, insistently rhythmic, Reich’s compositions emerged in the 1980’s as one of the central influences in contemporary music. His records now regularly become best sellers and his work is studied and performed throughout the world. Born in New York City in 1936 he attended the Juilliard School before moving to California to pursue further music studies with Milhaud and Berio and later explored the music of Ghana and Indonesia. The quality of his music that has become his trademark, perhaps best described as “phase music” was discovered by chance and seemed a by-product of the limitations of tape recorders. He went on to apply the technique to live music with the result that the harmonic and rhythmic relationships became apparent, giving the work a lush, shimmering, many-hued quality. This film covers Reich’s work over the last twenty years from the early tape pieces to recent orchestral work, with extracts from concerts filmed in England and New York. Contributors include the clarinettist Richard Stoltzman, flautist Ransom Wilson and members of Steve Reich’s own ensemble. Conductor Michael Tilson Thomas who has worked closely with Reich, assesses his impact on and contribution to contemporary music. 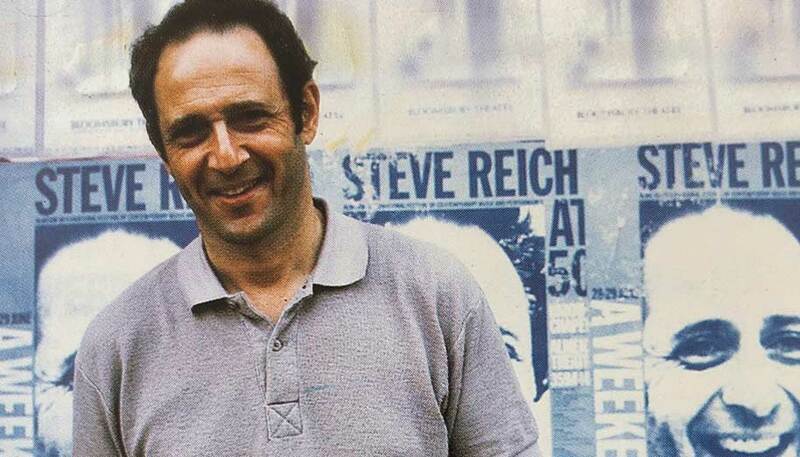 Reich himself talks with candour and considerable humour about his life and musical development. Manhattan, where he lives and composes, provides some stunning locations, rounding off this film portrait of a major force in music today. ‘The imaginative photography proved that music is as susceptible to visual treatment as any other performing art’.